It’s Monday morning, and I’m still in awe of the utter desperation TPTB demonstrated last week; first, in attempting to “prove” the Ukrainian crisis was a non-event; and then, to calm economic fears by not only posting the most bogus (yet, still outwardly ugly) NFP report on record, but attacking Paper PM prices with a vengeance. 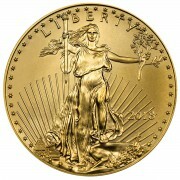 Gold still ended the week modestly higher – albeit, blatantly capped at the round number of $1,340/oz. 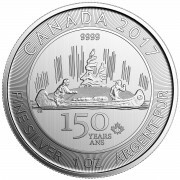 – and silver slightly lower; itself, capped at the round number of $21/oz. And not surprisingly, the PPT actually pushed the Dow into positive territory for the week; as the post-2008 equity bubble is stretched further and further into nosebleed territory by unprecedented levels of money printing, market manipulation and propaganda. In my wildest dreams, I could never have imagined stocks rising in such a horrific political and economic environment; ominously, pushing the percentage of U.S. assets held in the form of financial securities to a record level. But then again, when I learned to be a financial analyst in the 1980s and 90s, markets were freely traded; and of course, the world-destroying impact of abandoning the gold standard in 1971 – yielding inevitable, widespread hyperinflation – hadn’t yet been recognized. To think that the S&P 500, on many metrics, is more expensive than at the top of the internet bubble is utterly amazing to consider; but then again, when hyper-inflating nations like Venezuela, Argentina and South Africa are experiencing record stock prices, it becomes crystal clear what path is being taken. That is, the same route that initially occurred in Weimar Germany, Zimbabwe and countless other hyperinflations – until first, the cost of living overtook stocks and then, Precious Metals. And don’t forget, back then, PMs were NOT suppressed in the early stages of hyperinflation, as they are today. As usual, there are many difficult topics I could deal with to start the week. And if these were “normal” times, I’d probably be focusing on the Ukraine. After all, the potential for it to rapidly spiral out of control – potentially, yielding World War III – is as high as any geo-political crisis since 9/11. Last Tuesday’s all-out Western propaganda blitz – to convince the world Putin had “softened his stance” – is as shockingly shameful as any we’ve ever seen; and frankly, on a par with Joseph Goebbels’ worst. Since Tuesday, Russia has dramatically increased its troop presence in the Crimea, rebuffed all Western attempts at negotiation, blockaded key Crimean ports, prevented all Western “observers” from entering the region, and even fired test ICBMs to warn of their intentions. Worse yet, the largely pro-Russian Crimean Parliament proposed to secede from the Ukraine and re-join Russia – in a referendum that will be voted on next week; whilst major nations like Germany appear reluctant to back American sanction plans, as China and India have sided with the Russians. Thus, as in Syria, it’s appearing more and more likely that Obama will be forced to “go it alone” if he aims to stop the Russian bear; which if he does, would likely be the worst American military decision in its 240-year history. However, these are decidedly NOT normal times; as history’s largest fiat Ponzi scheme sits on the precipice of collapse, superseding essentially all other issues. Perhaps the Ukrainian revolution will spiral into a “black swan” event that implodes it; but frankly, the odds are against it. However, the odds of the system collapsing upon itself are nearly 100%; and sadly, could occur much sooner than most can imagine. Over the past year, we’ve discussed the various, potential “flash points” where such an event might commence; and frankly, it’s downright shocking to realize the likelihood of such an event emanating in the East have now surpassed that of the West. In last month’s “Japanese noose is tightening,” we discussed how Abenomics was utterly destroying the “Land of the Setting Sun,” pushing dramatically higher the odds that Japan would be the first “first world” nation to experience 21st century hyperinflation. Frankly, we are terrified of what the Japanese economy will do when the national sales taxes rises at month-end from 5% to 8% – let alone, when it’s taken up to 10% next year, just as the first round of Abenomics concludes. However, even we were not prepared for Japan to so thoroughly self-destruct beforehand – per last night’s announcement that not only was fourth quarter Japanese GDP growth reduced from 0.25% to 0.15%, but its January trade deficit exploded to an all-time high of roughly $15 billion. Per the damning chart below, doubling the money supply is clearly NOT improving Japan’s economy; but instead, causing surging inflation, a plunging currency and a record low Presidential approval rating. Comically, the Nikkei was down just 1% on this news; as like the Dow, it simply refuses to collapse. But again, this is how the early stages of hyperinflation typically assert themselves; and whether investors ultimately lose their shirts to nominal or real stock market losses, we assure you, they WILL lose their shirts. Sadly, the potential financial devastation in Japan doesn’t hold a candle to that of China. Yes, China, the supposed “world’s growth engine” – sits on its own precipice of collapse; and with nearly 1.5 billion citizens, the odds of catastrophic social unrest are rivalled only by those of India. Below is a chart of the average daily pollution experienced across much of China; which while not economic in nature, is a fantastic representation of just how dangerous the Chinese financial situation has become. Clearly, the PBOC has decided that propping up the “unproppable” is an impossible undertaking; and thus, it is making a significant policy change, in allowing such loans to default. Worse yet, it has clearly decided that allowing the Yuan to gradually rise is no longer in the nation’s best interest; and now that it is again declining, it should be crystal clear that amidst a collapsing global economy, China has joined the “final currency war.” In the former article, we noted the $500 billion of Western-created derivatives betting on a strong Yuan, of which losses of roughly $2 billion will be generated for each 1% Yuan decline, starting at around the 6.15/dollar exchange rate. Well, guess what? The Yuan plunged anew this morning, to 6.14/dollar as we speak – putting the aforementioned derivatives on the precipice; and with it, “Dr. Copper.” Yes, copper, the world’s most industrially-sensitive commodity – with the most leverage to the “Chinese economic miracle” – is now down 10% in the last month; whilst iron ore, another heavily Chinese-leveraged commodity, is down nearly 25%. And oh yeah, the Chinese stock market is in freefall; down nearly 3% today – falling below the key psychological 2,000 level – and 65% from its 2007 peak. Sadly, the Yuan/copper/Shanghai stock exchange plunges aren’t even the day’s worst news; and scarily, neither is last night’s news that Chinese February exports plunged 18% year-over-year (no, that is not a typo), creating the second largest monthly deficit in the nation’s history (gee, I wonder if the PBOC will be buying U.S. treasury bonds any time soon?). No, what truly terrified us was this article, depicting just how monstrous – and unsustainable – the (already deflating) Chinese real estate bubble has become. I was in China last summer and thus saw such madness first hand. However, even I wasn’t prepared for the astonishing statistics in this article; clearly, validating the madness of the Chinese shadow banking industry. This is perhaps the most must read article we have ever brought to your attention; and frankly, if after reading it, you do not act immediately to protect your life’s savings from the financial cataclysm that’s coming, I doubt you ever will. As for said Cartel desperation, even I was floored by what was attempted last night; yet, equally encouraged by how sharply PMs have rebounded. 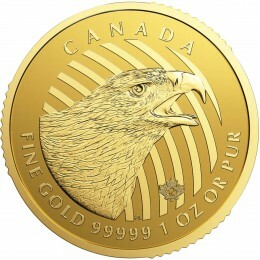 Yes, they started by capping gold and silver – what a shock, at the round numbers of $1,340/oz. and $21/oz., respectively – with the 28th “Sunday night sentiment” attack of the past 30 weeks; and of course, the 184th “2:15 AM” attack of the past 207 trading days. However, what was most shocking was the fact that they created a PAPER waterfall decline at exactly 9:00 PM EST; i.e., seconds after the horrific Japanese GDP and trade deficit data! In fact, nothing else budged when this occurred – from oil, to the dollar index, to Dow futures. Simply put, the Cartel was desperate to create a mirage of PM weakness; which even for me, was a “manipulation sight” to behold! Anyhow, it’s now Monday morning here in the States and PMs have recovered all such losses; what do you know, capped again at the current “lines in the sand” at $1,340/oz. and $21/oz., respectively. Hopefully, today’s Chinese real estate article shocks anyone that has not yet protected their assets into action. We are doing our best to alert you of such reality; which ultimately, the entire world will recognize – for most, when it’s already too late to act. 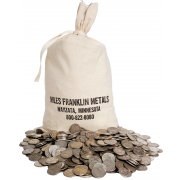 And if you do consider a precious metals purchase, please give us a call; as all we ask is that you “give us a chance” to earn your business. I finally made a decision to contact you guys(talking to Joel now) about silver purchases and storage options. YouTube channel vice news has some great reporting on Ukraine uprising showing the real deal. Incredible footage of russian troops taking over a base. Video you’ll never see from msm.